In the spring of 1973 the Harrell's of West Point, Mississippi constructed a new house. 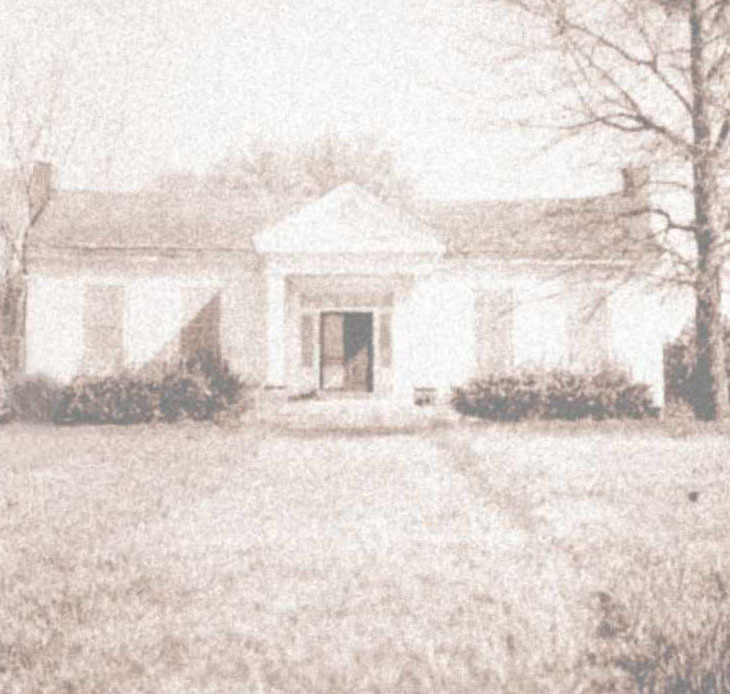 The central area of the new house was at one time the homestead of Moses Westbrook and was originally built in 1842. When it was purchased by Robert and Caroline Harrell, it was one of the oldest standing structures in West Point. The original Westbrook homestead was cut into two pieces for ease of movement and then transported to the Harrell property by truck. The two pieces were then rejoined to form the main entrance hall, dinning room, master bedroom and family room of a large expansive home. Wings were added to either side of this structure which consisted of the kitchen, laundry room and numerous bedrooms. The west wing houses the modern kitchen, breakfast nook, and laundry room. A breezeway connects to a two car garage and wood working shop. The east wing consist of a library and a number of bedrooms for family and guest. In 1804, North Mississippi, formerly a part of Georgia, became part of the Mississippi Territory under an act of Congress during the administration of W. C. C. Claiborne. In 1817, the territory became the 20th state of the Union. The Treaty of Dancing Rabbit Creek with the Choctaw Indians in 1830 and the Treaty of Pontotoc with the Chickasaw Indians in 1832 opened the lands of what is now Clay County to the first settlers. The fertile lands and great virgin forests attracted steadfast planters and their families from Virginia, the Carolinas, Georgia and Alabama who found promise in the prairie region. Among the first settlers in this section of the country were Lemuel Westbrook and his brother, Moses Westbrook. They settled in the area before West Point was born. They first observed it in it's primeval state, then as a village, a town and finally, as a city.